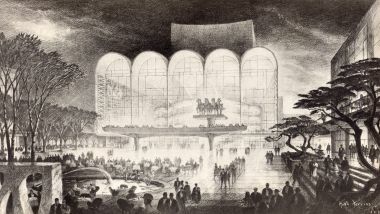 Architect Kyna Leski breaks down her father’s story on how a wonderful accident while drawing the chandeliers became one of the most aesthetically pleasing additions to The Opera House. Great Performances: The Opera House, the new documentary by multiple Emmy Award-winning documentary filmmaker Susan Froemke (Grey Gardens; Lalee’s Kin: The Legacy of Cotton) surveys a remarkable period of the Metropolitan Opera’s rich history and a time of great change for New York City. Premieres Friday, May 25 at 9 p.m. on PBS (check local listings) and will be available to stream the following day on pbs.org/gperf and PBS apps.